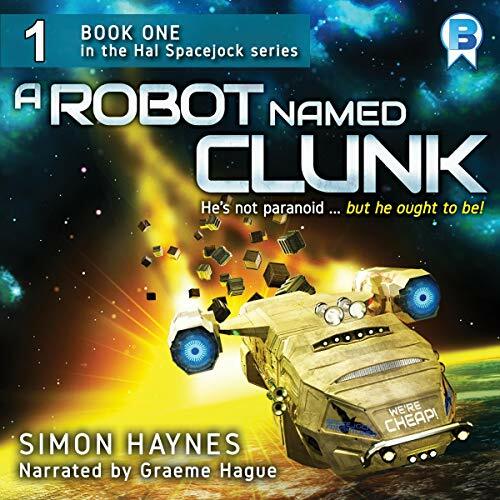 Showing results by narrator "Graeme Hague"
Clunk, a clapped-out robot, is convinced he's about to be junked. Instead, his penny-pinching boss is sending him off to be refurbished. Being old and wise, Clunk knows there's a catch, but at first it doesn't seem too bad. He just has to help a freelancer pick up some cargo. Unfortunately, Hal Spacejock - the freelancer - is obstinate, over-confident, and woefully under-skilled, and he's never going to let a lowly robot fly his precious ship.